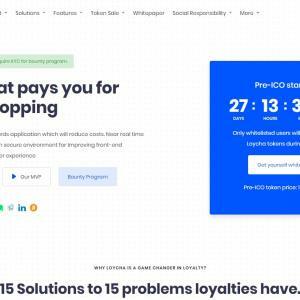 Loyalty token and Rewards application which will reduce costs. Near real-time process with blockchain secure environment for Improving front-end capabilities for customer experience. Loyalty token and Rewards application which will reduce costs. Near real-time process with blockchain secure environment for Improving front-end payment capabilities for customer experience. A short introductionAccording to COLLOQUY, loyalty industry market capacity is around 50 Billion dollar. The same report says: ”U.S. customer loyalty program memberships have increased to 3.8 billion since COLLOQUY’s 2015 Loyalty Census report. The rate of growth slowed, however, to a 15% increase over two years, compared to a 26% increase over the two years prior to the 2015 census report”.